For one week in October, local and emerging designers showcase their collections during Fashion Week Columbus, starting with the 10th Annual High Fashion Tea Runway Show and concluding with the Finale Runway Show. The Finale Runway Show is THE FASHION EVENT of the year! Concluding Fashion Week Columbus 2018 is an engaging experience that brings the audience into the world of leading designers who are shaping the fashion industry. Featured designers for 2018 include: Gerardo Encinas, Juan Jose Saenz-Ferreyros, Akili Cooper, Alexandre Marr, Maya Eigel, along with Headline Designer Laurel DeWitt! Karina Nova (WBNS 10TV) is hosting the show, with seating beginning at 8pm sharp. The VIP Reception begins at 6pm. A special thank you goes out to Easton, the Title Sponsor for Fashion Week Columbus in 2018. Seats are much closer to the runway than the Eventbrite map displays. Join IL Moda PR & CreativeDrive to celebrate Fashion Week Columbus for a night of GOLD & GLAMOUR! Think gold and black for a formal night of gala style vibes & a fashion show mid-evening. Join the red carpet and elite list of regional celebrities! Dress: FORMAL. 10TV's Karina Nova and New York's SOCIAL Magazine, Buckeye Lifetsyle Magazine and many local public officials like City Council Members along with bloggers for a night of fun, industry mingling and fashion at the FWC 5th Annual Industry Mixer! *A portion of bar sales will benefit Fashion Week Columbus programming. *This is a private event so all ages are welcome as the venue is open for our party only. IL Moda PR & Brand Development, where we build the story of the product, the service, and the brand as a whole while understanding the respective market and how to not just survive in it, but lead it. CreativeDrive is a global, independent creative and content production company pioneering a new industry paradigm by providing end-to-end creative content solutions delivered at speed and scale, localized and optimized for all channels. Come imbibe with Nurtur Salon and Beyond Skin Aesthetics as we celebrate the art of beauty! The first 50 attendees to come to the party will receive a $25 gift card to both Nurtur and Beyond Skin Aesthetics, as well as sunscreen and Aveda hand relief lotion. Enjoy complimentary drinks, sounds by George Brazil, discounted on-site botox ($10 a unit! ), a giveaway, and more as we celebrate the beauty of Columbus! The High Fashion Tea Runway Show begins Fashion Week Columbus with style! This immersive experience presents a view into the leading artistic designs and designers of 2018, complemented by a fashionable afternoon tea. Featured designers for 2018 include: Gerardo Encinas of Encinas Designs, Juan Jose Saenz-Ferreyros of Ferreyros Life and Koudre by Anushka. Check out last year's High Fashion Tea Runway Show! Shop the Kendra Scott collection and stock up on on the latest accessories, just in time for #FWC18! Enjoy this pre-event leading up to a spectacular week of fashion in Columbus. The more you shop, the more your fashion community will benefit! Fashion Week Columbus will receive 20% of all proceeds to benefit its non-profit mission. NEW THIS YEAR! Don’t miss Wine & Design at Easton Fashion Night. Enjoy wine samples and appetizers from Cooper’s Hawk Winery & Restaurant in this VIP area as you mingle with Fashion Week Columbus designers. Enter to win a custom outfit by one of the emerging fashion designers. Your $10 ticket benefits Fashion Week Columbus. Tickets can be purchased online or at the door. If purchased online, guests will receive an additional entry into the custom outfit giveaway. It's time to launch the 2018 Fashion Week season in Columbus! 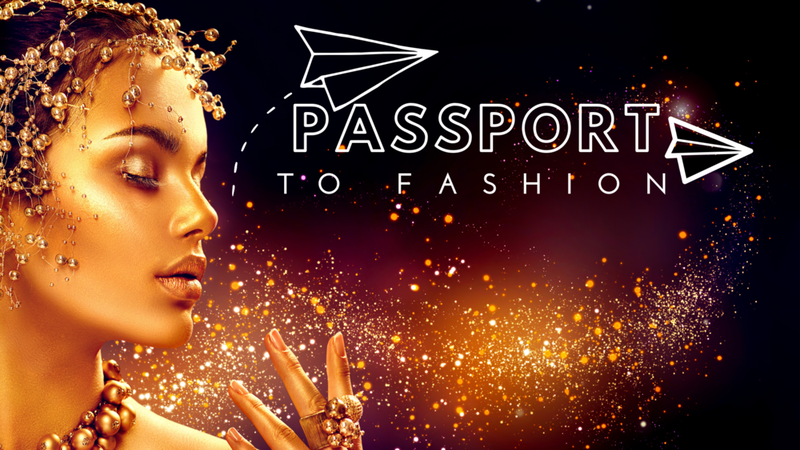 Join your fashion community of models, designers, photographers, stylists, makeup artists and others at the beautiful Hollywood Casino (21+ only, please) for a spectacular evening of fun. Come meet local fashion designers who will be showcasing thier designs on the runway at the finale! We will be revealing the headline designer, who is visiting Columbus for the first time. She has recently created designs for Shakira, Beyonce, J Lo and so many other celebrities!